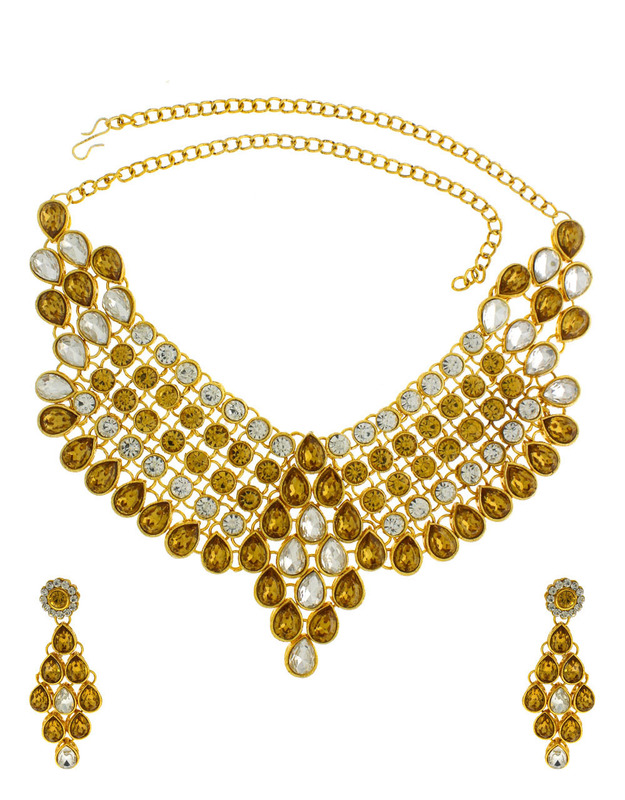 Create your different fashion-statement by adorning this peach colour beautiful necklace set with your festive costumes. 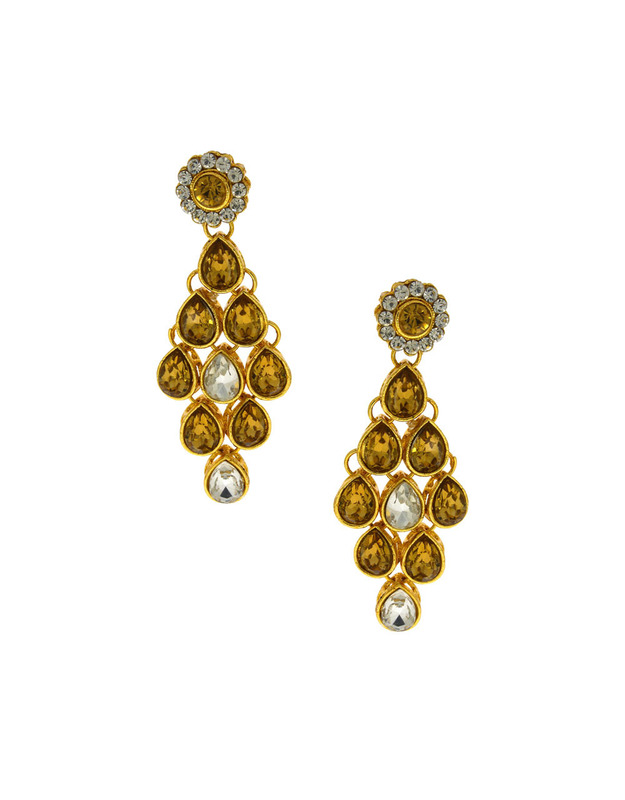 It is studded with sparkling stones and made from metal. 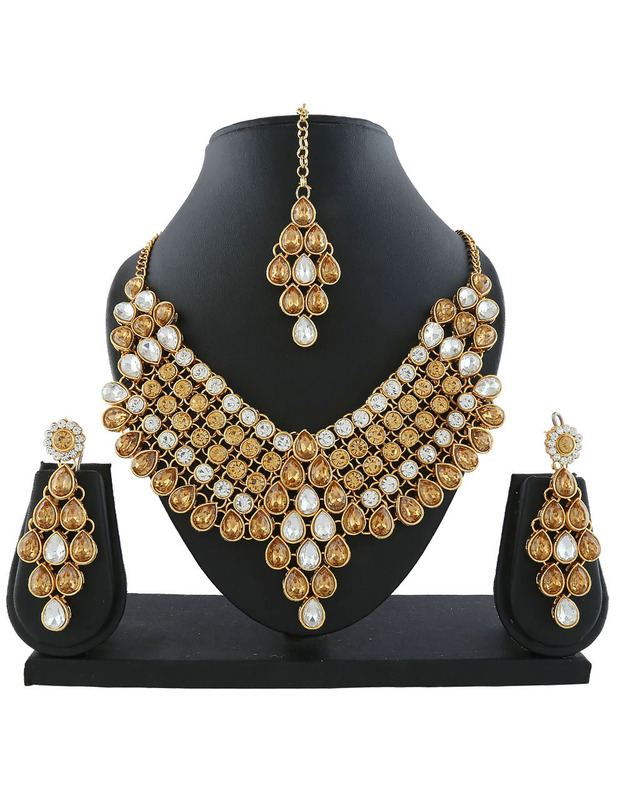 This bridal set is superior in quality and will be your fashion companion for many years. 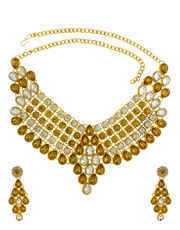 It includes necklace, pair of matching earrings and maang tika. Necklace, One Pair Earring & Maang Tikka.